Cataracts are cloudy spots in the eye lens, which should normally be clear. This condition can exist in one or both eyes. A normal clear lens would otherwise allow light to pass through to the back of the eye so that one can see well-defined images. Cataract development is usually a very gradual process of normal ageing but can occasionally occur rapidly. Many people are in fact, unaware that they have cataracts because the changes in their vision have been so gradual. When the central portion of the lens is most affected, the condition is commonly termed as nuclear cataracts. When opacities are most visible in the region of the outside lens (lens cortex), this condition is known as cortical cataracts. There is also a more specific change that occasionally happens, that is when the opacity develops immediately next to the lens capsule, either by the anterior (in the front) or posterior (behind), portion of the capsule - these are called subcapsular cataracts. The lens is made mostly of water and protein. Specific proteins within the lens are responsible for maintaining its clarity. Over many years, the structures of these lens proteins are altered, ultimately leading to a gradual clouding of the lens. Rarely, cataracts can present themselves at birth or during early childhood as a result of hereditary enzyme defects, severe trauma to the eye, eye surgery or intra-ocular inflammation. 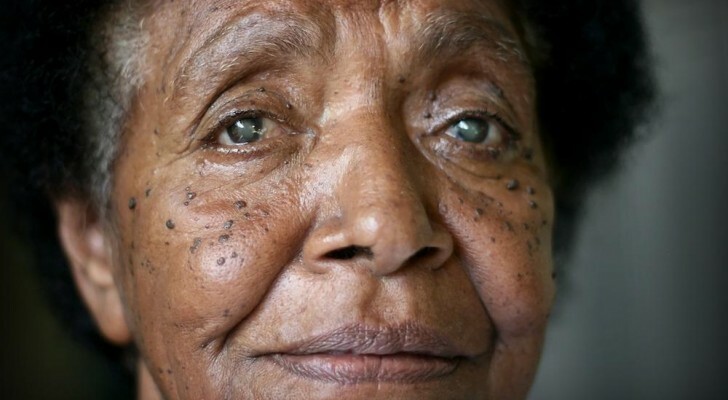 Other facts that can lead to teh development of cataracts at an earlier age include excessive ultraviolet-light exposure, diabetes, smoking or the use of certain medications, whether it be oral, topical or inhaled steroids. Cataracts may cause a variety of complaints and visual changes including blurred, cloudy or misty vision, difficulty with glare (often with bright sun or automobile headlights while driving at night), dulled colour vision, increased near sightedness accompanied by frequent changes in eyeglass prescription, and occasionally, double-vision in one eye. Some patient sees small patches which blur part of their field of vision. Even by changing glasses their vision cannot improve. Cataracts are usually gradual and not painful. The condition is also not associated with any eye redness or any other symptoms unless they become extremely advanced. The symptoms of early cataract may be improved by using new eyeglasses, brighter lighting, anti-glare sunglasses and magnifying lenses. Phacoemulsification is the most common form of cataract removal. In this most modern method, cataract surgery can usually be performed in less than 30 minutes and usually requires only minimal sedation and numbing drops, no stitches to close the wound and no eye patch after surgery. Extracapsular cataract surgery is used mainly for very advanced cataracts where the lens is too dense to dissolve into fragments (phacoemulsify) or in facilities that do not have phacoemulsification technology. This technique requires a larger incision so that the cataract can be removed in one piece without being fragmented inside the eye. An artificial lens is placed in the same capsular bag as with the phacoemulsification technique. This surgical technique requires a various number of sutures to close the larger wound and visual recovery is often slower. Extracapsular cataract extraction usually requires an injection of numbing medication around the eye and an eye patch after surgery. Intracapsular cataract surgery: This surgical technique requires an even larger wound than the extracapsular surgery, and the surgeon removes the entire lens and the surrounding capsule together. This technique requires the intraocular lens to be placed in a different location - in front of the iris. This method is rarely used today but can be still be useful in cases of significant trauma.